ISTANBUL – Ottomans were the first to reach the moon, not Neil Armstrong. 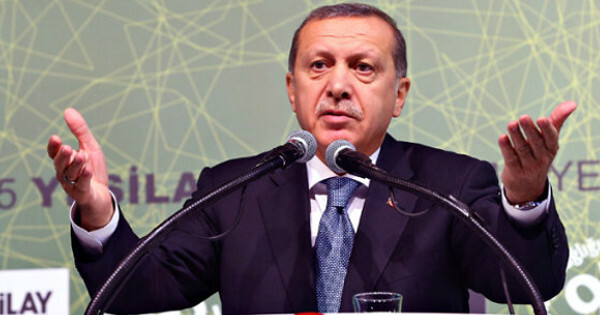 Muslim explorers reached the Moon more than 300 years before the beginning of the Appolo program, said Turkish President Recep Tayyip Erdoğan. Neil Armstrong was not the first man to walk on moon in 1969. The Muslim space explorers reached our satellite 334 years before that, in 1635. Lagâri Hasan Çelebi, the “Ottoman Rocket Man”, who made the first successful manned rocket flight in 1633. He attempted to reach the moon, two years later and succeeded! Lagari Hasan Çelebi was famous 17th century Arab merchant and traveller, Mehmed Zilli, also known as Evliya Çelebi. In his famous travelog, he explains that Lagari Hasan Çelebi launched in a 7-winged rocket using 50 okka (63.5 kg or 140 lbs) of gunpowder. It took off from Sarayburnu, a site below the Topkapı Palace in Istanbul. As Evliya Celebi wrote, Lagari proclaimed before launch “O my sultan! Be blessed, I am going to talk to Jesus!”, before lighting the rocket’s gunpowder. He then ascended more than 200 meters in the air and landed in the sea, hundreds of meters from his takeoff point. Swimming ashore, he allegedly reported: “O my sultan! Jesus sends his regards to you!”. This 17th-century engraving depicts one of Lagâri Hasan Çelebi’s famous rocket flights, but it’s unclear if it represents his first flight or his attempt to reach the moon, in 1635. President Erdoğan’s claim generated some whispers and laughter from the audience, a reaction that clearly angered the Turkish politician. He slammed the skeptics for mocking his claims, adding that he would soon have the proofs to back his claims. The Turkish President did not, however, give any precision about the proofs he was expecting to find nor how he was hoping to gather them. The description of the flying engine used by Lagâri Hasan Çelebi is pretty vague and doesn’t really allow modern scientists to accurately recreate the design. This sketch shows the basic design as it is described, but is almost certainly incomplete or partially inaccurate. The story of Lagâri Hasan Çelebi is considered a legend by most historians, and most experts believe that it is impossible that the “aviator” could have survived a flight into outer space.